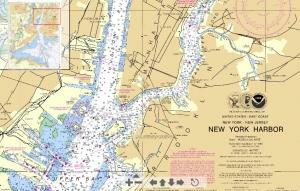 NOAA has over a thousand nautical charts covering the 95,000 miles of U.S. shoreline to manage and keep current, adding data and making corrections that are critical to the nation’s infrastructure and maritime industry. 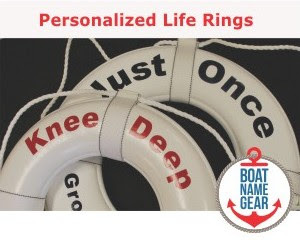 From the US Coast Guard to the captain of those leviathans that ply the oceans to the private boat owner with a 20’ skiff, they are both sources of updates and users of the end-product. Since starting the “electronic-ization” of chart production more than 15 years ago, NOAA has moved fitfully towards a system that truly integrated its many systems of input and of use. In October 2004, the Office of Coast Survey began the production improvement project with Fairfax, Va.-based ManTech International Corporation, and ESRI, a leading provider of GIS technology based in Redlands, Calif. Their goal, coming to fruition now, was to develop an integrated production system for NOAA chart production. NOAA’s development of a new navigational chart processing system, designed to meet the changing needs of the maritime community, moved into initial limited production this past September. The new system, which slims down the current map production process while it beefs up performance, represents a technological leap forward in creating the navigational charts used to speed ships and products safety through the nation’s maritime transportation system. With greater efficiencies and versatility, the system speeds chart updates to users; presents opportunities for private industry development of customized products; and improves data exchange capabilities for multiple maritime uses. Notably, with the efficiencies gained from the new system, Coast Survey can produce more navigation products, with flexible access to more data, without a corresponding increase in budget or personnel. The full transition of data covering all U.S. waters will take several years, progressing in sets of charts as geographically located in U.S. Coast Guard Districts. As the data is transitioned to the new system, chart users will see more congruity between paper charts that are now produced on one system and electronic charts produced on another. Under the new system, cartographers will enter the same data into a single system and the changes will be sped along to all associated products. NOAA’s Office of Coast Survey has been the Nation’s trusted source of navigational charts and data since it was organized in 1807 by President Thomas Jefferson. 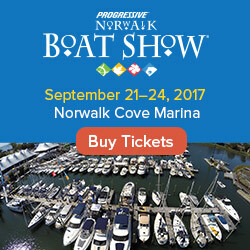 Today, mariners and other users download nearly 300 million free navigational charts annually from www.nauticalcharts.noaa.gov. 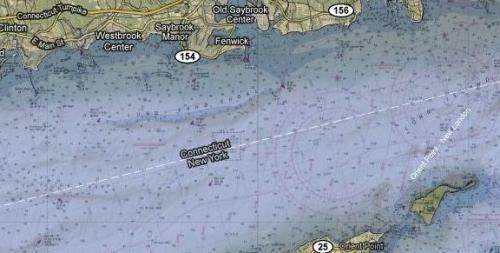 Users can get fast notice of updates to electronic nautical charts from Coast Survey’s Twitter account - @nauticalcharts.